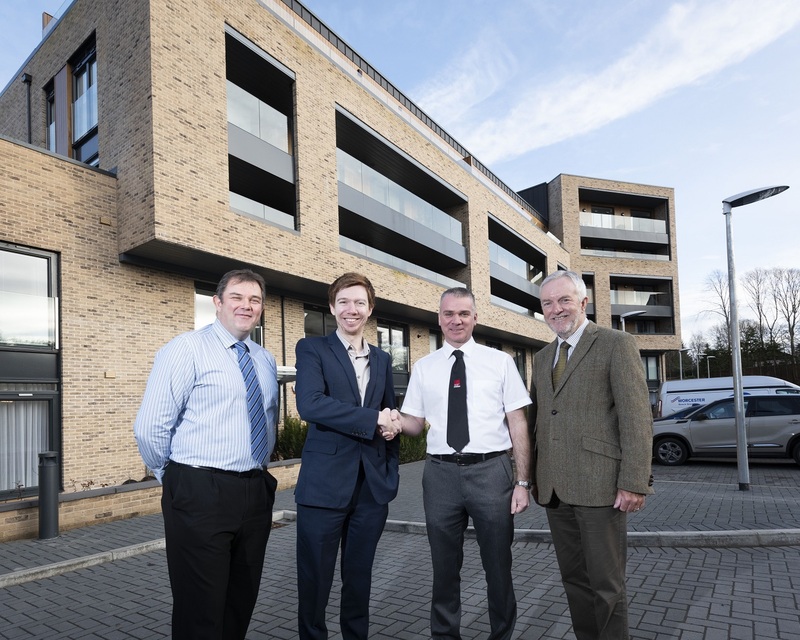 East Renfrewshire MP Paul Masterton paid a visit to Mactaggart & Mickel’s Milverton Grange development in Giffnock, East Renfrewshire to visit the new development and congratulate the housebuilder’s award-winning site manager. Garry Henderson was a Regional winner for Scotland in the ‘Multi-storey’ category at the 2018 NHBC Pride in the Job Awards – recognising the industry’s best site managers across the UK. Garry’s award for the Milverton Grange development in Giffnock is the first award in this particular category for the Glasgow-headquartered housebuilder. Starting his career as an electrician before moving into site management, this is Garry’s first Regional Award which he adds to the five NHBC Quality Awards he has won previously. Garry will now go forward for the NHBC UK Supreme Awards, to be announced at a Gala Dinner in London on January 25. Moray-based AJ Engineering & Construction Limited is celebrating 20 years in business with a calendar of events. The celebrations include a virtual bike ride covering 21,000 miles, the same distance travelled as jobs completed in one year. All staff at the firm are being encouraged to take part in the challenge which will raise money for three charities – the Moray branch of Marie Curie, Diabetes UK and Star For Harris. AJ Engineering & Construction Services was founded by managing director Alan James in 1999 and this year, the staff plan to mark the milestone. Alan started the company after being made redundant from William Reid Engineering. Throughout the year other events will include social evenings, Scottish Apprenticeship Week and the company plans to take part in Moray Doors Open Day which will incorporate a family and customer fun day as well as being open to the public. The charities that the company is supporting have also been carefully chosen and anything raised by the staff will be matched by the firm. Angus, Dundee and Perth & Kinross councils are to consider plans for a new joint integrated community learning campus. Proposals identified in the reports would see the three councils working closely together to develop a learning facility. Angus and Dundee councils are keen to explore provision for early years, primary and secondary learning, with Perth’s interest focusing solely on secondary pupils from the Carse of Gowrie. If approved, the new development is likely to be located around the shared boundary to the south west of Angus, the western boundary of Dundee and the north east of Perth and Kinross. Dundee City Council’s children and families service convener, Councillor Stewart Hunter, praised the project as “an innovative solution for the benefit of all three areas”. Reports will be considered on the Tri-Council campus proposal, and other local issues by Dundee City Council on January 28, Angus Council on January 29 and Perth & Kinross Council on January 30. Aberdeen City Council is seeking views on potential designs for a cycling and pedestrian route in the Marywell area near Cove. The introduction of this link will help enhance the wider cycle/pedestrian network between Stonehaven and Aberdeen. The five potential routes for the project include extending the shared use path along Wellington Road (A956) from the junction with Charleston Road to link in with Old Wellington Road or Old Stonehaven Road. Options for a shared use or fully segregated route along (Old) Wellington Road, Old Stonehaven Road, or Cove Road are also being considered as is extending the shared use path and exploring segregated options along Charleston Road. An online exhibition and survey launched for people to express their views is available here. A public consultation event is also being held in Cove Library on Monday 28 January, from 3-7pm.